We at this firm are committed to the highest ethical and professional values as well as honesty. Professional updating is vital; as attorneys we have acquired high degrees and constantly attend seminars, diploma courses and conferences to be at the forefront. We offer our clients the best solution for their case. Law Firm experienced in specialized advisory, from its operation up to the forming of a fully integrated group of specialized professionals in legal, financial, business, administrative, and management. Throughout the years our consulting firm has managed to position itself as one of the most important firms in the western region of the country, thanks to the specialization, knowledge and extensive experience of our team of professionals, but above all, for the preference, trust and recommendation of our clients. Our values ​​distinguish us. Mission We are a group of professionals specialized in granting consultancies of high professional level in legal, financial, business, administrative and management. We provide our services efficiently with respect and values. We are the leading firm in specialized comprehensive consulting, we have experts and up-to-date professionals, our strategy is excellence.We respect values ​​in the legal, financial, business, administrative and management matters that our clients entrust us. We work towards enhancing our human qualities in our firm to always choose the best outcome based on truth and justice. We work and judge always with the truth as our guide. We construct our activities with due care and promptness, we execute our methods according to our principles, values and legal requirements. We excel because we do not compete with others, we challenge ourselves to grow and reach further. Our principles are based on honesty, coherence, sincerity and respect, we base our ethic on speaking truth and justice. We put our professional ethics into practice through our accomplishments, we fulfill because we commit ourselves and act according. We meet our client’s expectations, we commit ourselves with them. We work diligently to accomplish our client’s satisfaction. We are a team of attorneys highly experienced, united to provide the best legal advice under the pillars of honesty and professionalism. As a law firm, we are specialized in different areas. We have acquired doctorate and master degrees to cover all legal areas with a very high level of performance allowing us to counsel and protect both our community, and corporations regardless, whether your litigation is simple or complex. Our clients expect a serious response, realistic options and all the necessary knowledge to solve their cases, therefore we offer realistic solutions, based on highly experienced attorneys. 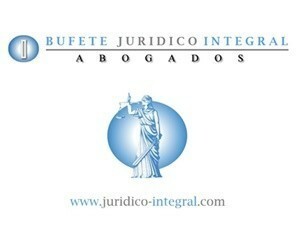 Bufete Jurídico Integral is a law firm with experience in legal counseling and representation in legal and administrative matters. We work under a framework of honesty, transparency and loyalty, with a clear vision to provide the best solution for the legal conflicts our clients might have, providing an effective and realistic response. We are committed to our clients and their benefit. We take the Law Firm’s prestige seriously, for that reason we make sure to give you the best results.